perl/cgi scripts should be in your cgi-bin, with permissions of 755 Please read our article on file permissions for more information. 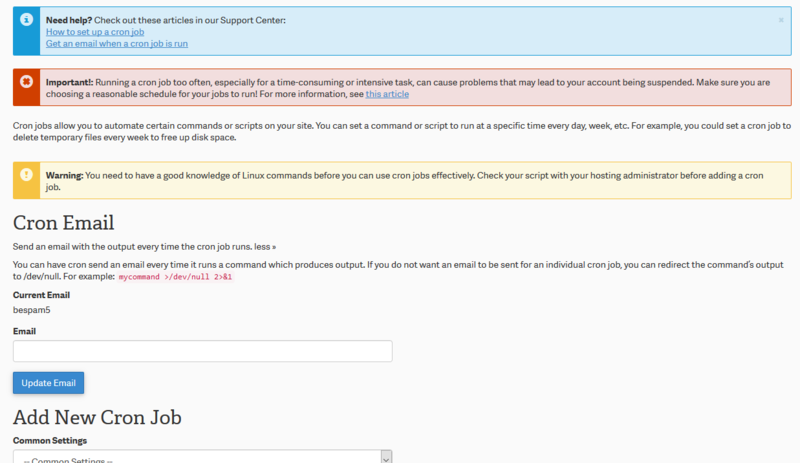 If you need further assistance please feel free to ask a question on our support center website about your cron job issues. Just wanted to thank you for saving my a....s. I looked for a solution for days until I found this! fantastic job! I want you to know that you helped me resolve a problem with my cron job on my website, DonCooperProducts.com, that I've been working on with one of my developers for months! Thank you so much for posting this informaiton!